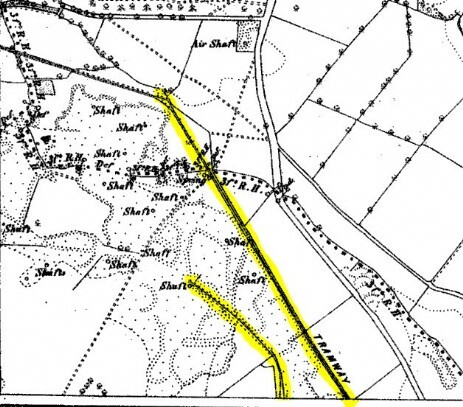 A tramway (one of two from this area) was constructed and ran from Hundall colliery via Glasshouse colliery via West Staveley colliery to Whittington station to transport coal from the collieries and onto the railway at West Staveley colliery for transport. 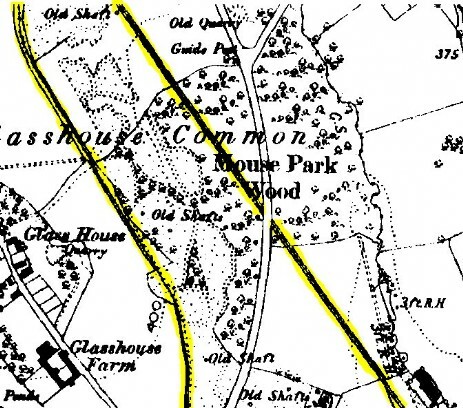 Another tramway ran parallel to this from Glasshouse colliery to the station or the steel works. Shown on O.S. Maps circa 1880. One tramway the northern one ran under the road and the southerly one ran over the road. There were several companies involved in the operation of the collieries and may have used more than one name during operation as did the collieries. This makes identifying individual owners to collieries difficult. 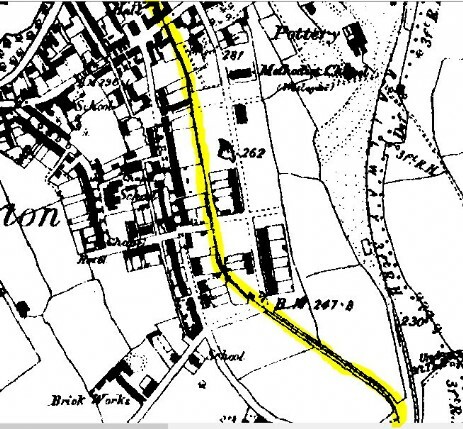 By the 1896 list of coal mines it appears that this area is nearly all worked out, however by the first decade of the twentieth century several small mines have re-emerged, some in areas of previous operations. 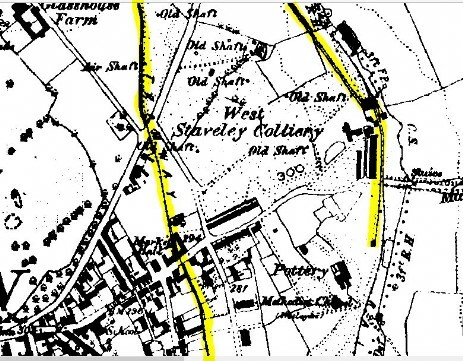 The area covered by Glasshouse colliery has at least 24 old shafts in 1880 this would indicate to me that the area was predominantly working ironstone, there are several different types of ironstone nodules to be found in the area. Messrs Byron and Rangely are to sell on Monday 3rd July 1893 the whole of the colliery plant, horse cart, harness etc. on instructions from Redhead and Sellars. Horse 15 hands also cart with sideboards and various other colliery equipment. A cart weighing machine to 5 tons, wire coal screen 8 feet x 4 feet, pit props and railway sleepers etc. The sale to commence at the bottom shaft at 3.00p.m. The Glasshouse Colliery Company New Whittington was summoned at Chesterfield on Thursday last week for non-payment of £38 – 4 –00d poor rate and £32 –13 –00d district rate. Mr. W. Thacker of the Borough Accountants Office said the Company’s representative had informed him that day that they were expecting £600 from the Government and as soon as they got it the rates would be paid. He had promised a months grace. The Bench made the usual order for non-payment. Maps below. 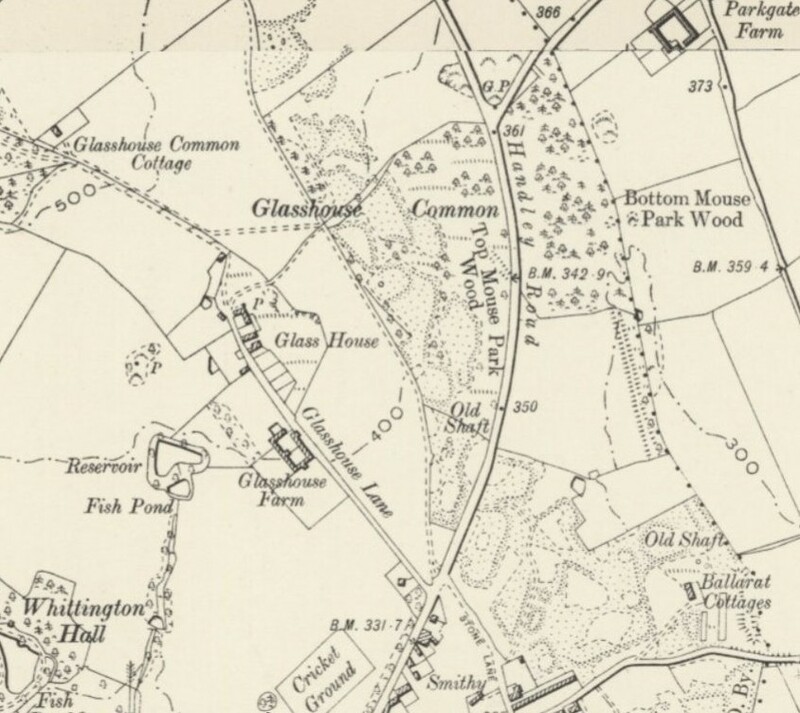 From Ordnance Survey & NSL Scotland. 1883. 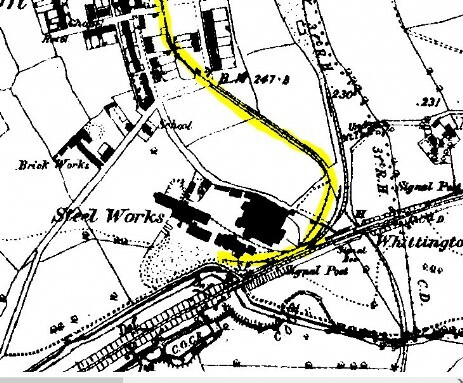 Bottom is a sectional view with highlighting to follow the two tramways down from the common to their destinations at the railway and Steel Works. Photographs of the area showing some of the remains there.